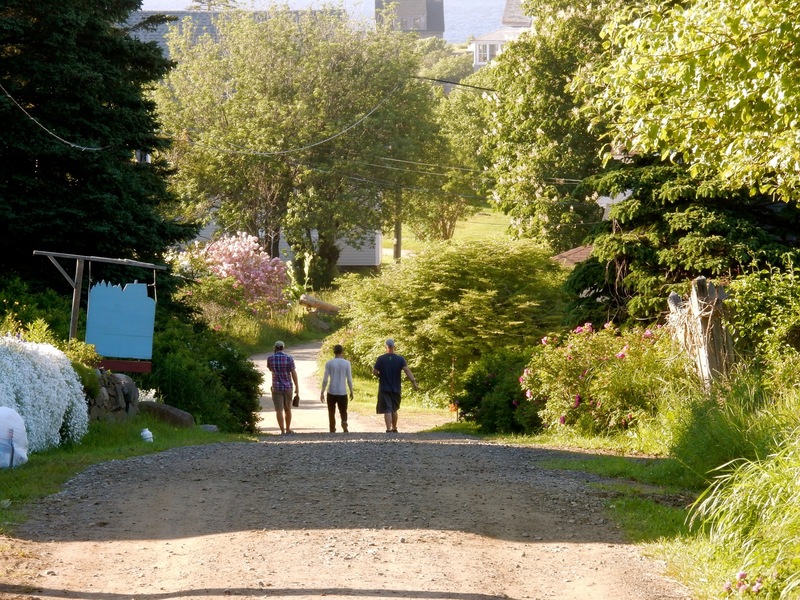 WHY GO: Ten miles off Mid-Coast Maine, Monhegan Island is known for its artists and lobstermen, who live, symbiotically, on this tiny crust of land just under a square mile in size. Though the population dwindles to 50 year round, when lobstermen continue to pull in those popular Maine crustaceans, warm weather brings artists, writers, birders, nature lovers and curious tourists who don’t mind experiencing a simple life without cars (or paved roads), private bathrooms, or even, in some cases, electricity (which costs four times more than it does on the mainland). But, ah, those views: The views that inspired some of America’s most famed artists. Those are what you came for, anyway. 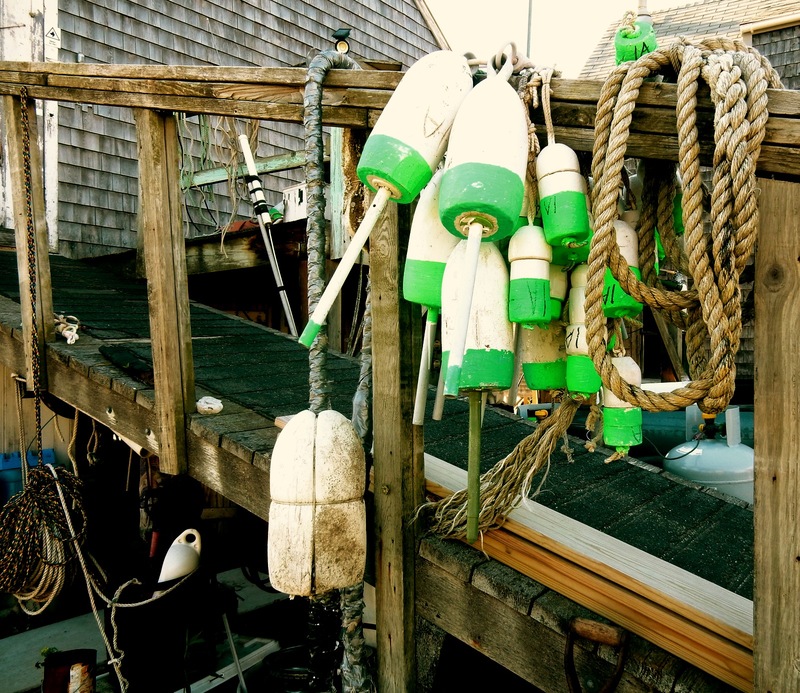 GET HERE: Monhegan Boat Line, Port Clyde. It’s a ten mile, 70 minute crossing in good weather (possibly a bit longer in rough), but you won’t even register time going by if you sit on the top deck and revel in the seascape, islands, and approach to this cut-in-two island that seems more like Ireland than the USA (the larger island is Monhegan, the small green one is Manana). If it’s windy, it’s a bronco ride. 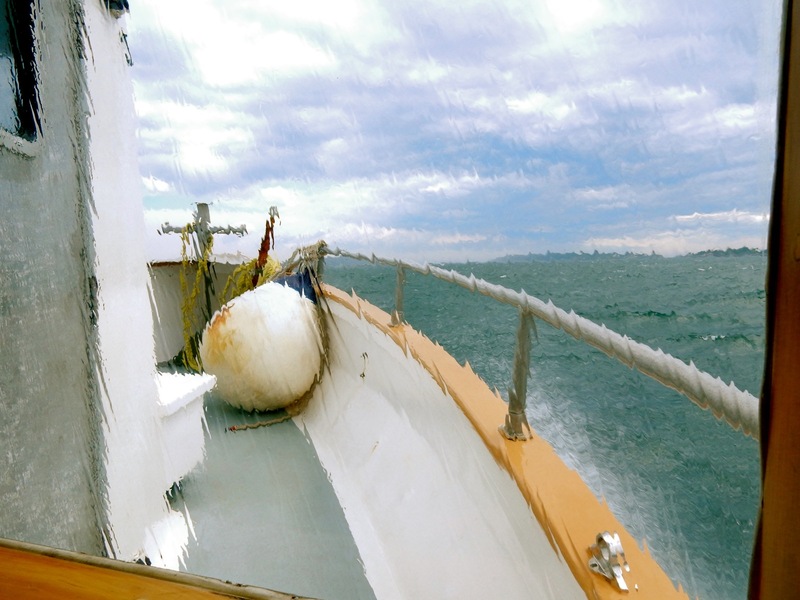 You’ll want to stay below, protected from the elements. In season, the ferry runs 3 times a day (off season, just once), and island life revolves around arrival times. If staying overnight, luggage is tagged with your hotel identification and will be picked up at the wharf. $38 round trip per person includes luggage, and another $7 to park your car in Port Clyde. 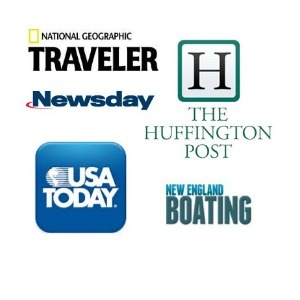 Monhegan Boat Line also runs 2 ½ hour Puffin, Lighthouse, and Sunset Cruises out of Port Clyde. 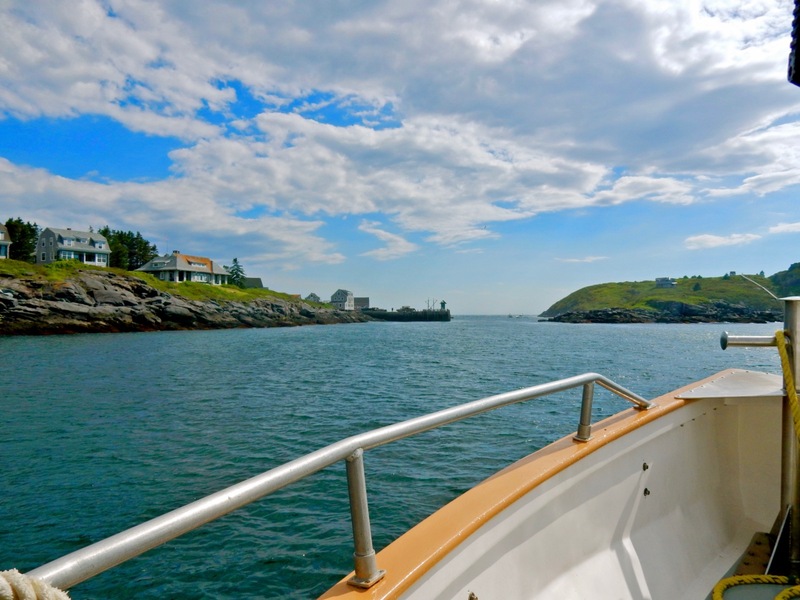 GET HERE: There are two other ferries that come to Monhegan Island once a day: The Hardy Boat from New Harbor and the Balmy Days II out of Boothbay Harbor, which offers daytrips only. DO: Read notices on the Rope Shed. 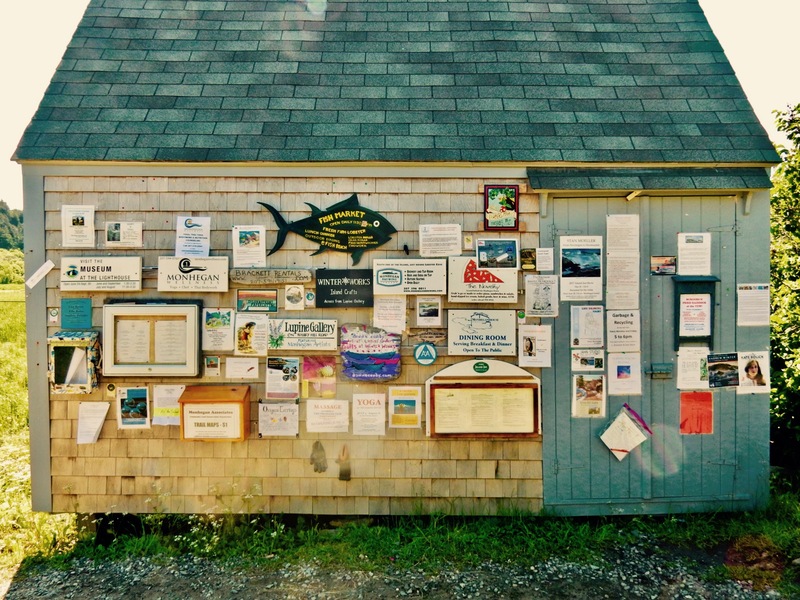 You’ll find this community bulletin board, plastered with posters, ads, lost keys, and announcements – everything that’s going on island-wide that day or week – on the path to Monhegan House. DO: Wander the dirt roads. Check out artist’s studios, and galleries (many artists open their own home studios). Go to “Fish Beach” – a tiny sandy spot that passes for a beach here. It’s also where you’ll find the best fish tacos at Fish House (see below under Where to Eat). At night, there are no streetlights (remember the cost of electricity) so if you plan to meander after dark, bring a flashlight. HIKE: All Over. Grab an island map and explore. There are 17 miles of mostly “moderate” or “difficult” trails through woods, over rocks, and to surf pounded shoreline. And we have Thomas Edison’s son, Ted, to thank for them.In the early 1900’s, after artists had discovered this spit of land, the island was split into tiny residential lots. By the 1950’s, a “population explosion” created the need to contain development. Enter Edison, who owned land and inherited more, and who felt the “wildlands” required protection. 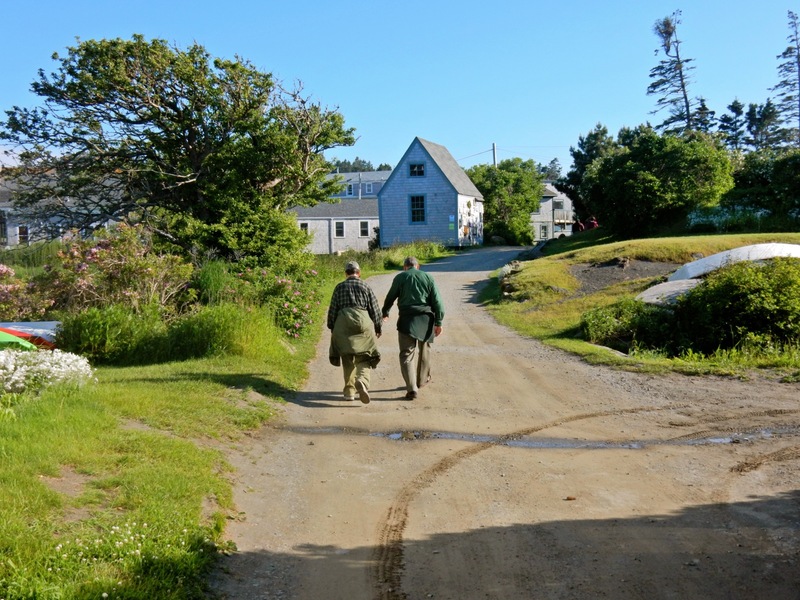 He created Monhegan Associates – a public Land Trust – to keep 300 acres of undeveloped land wild in perpetuity. 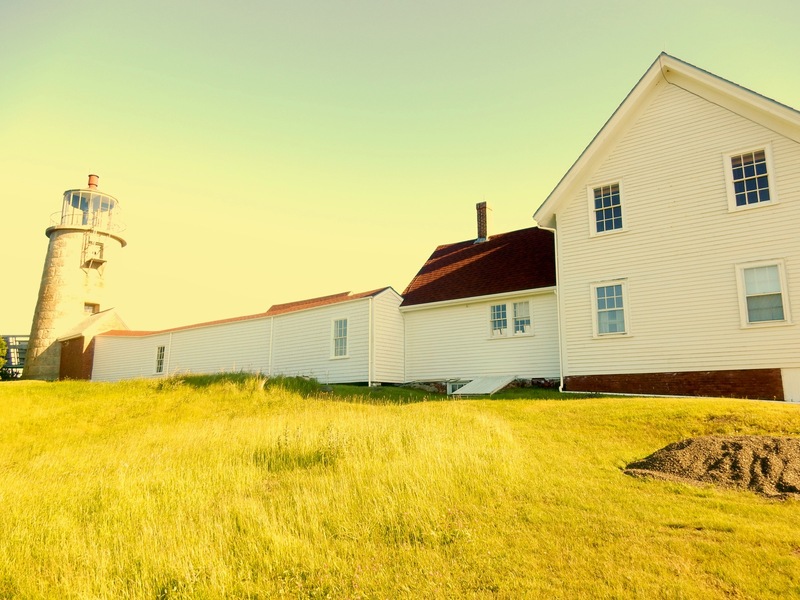 VISIT: Monhegan Museum of Art and History and Lighthouse. The climb up to the museum is lung-expanding, but worth it. The lighthouse, built in 1824, is the 2nd highest light on the coast of Maine (highest is in Casco Bay) and was automated in 1959. 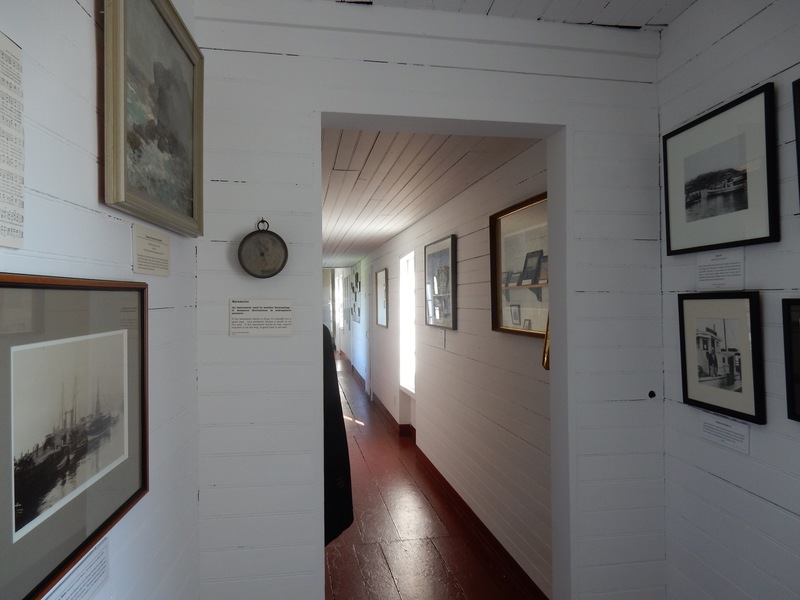 The Keeper’s House was saved from demolition by Monhegan Associates and turned into a museum featuring the art of the island’s most well known painters, interspersed among historical artifacts and photographs. 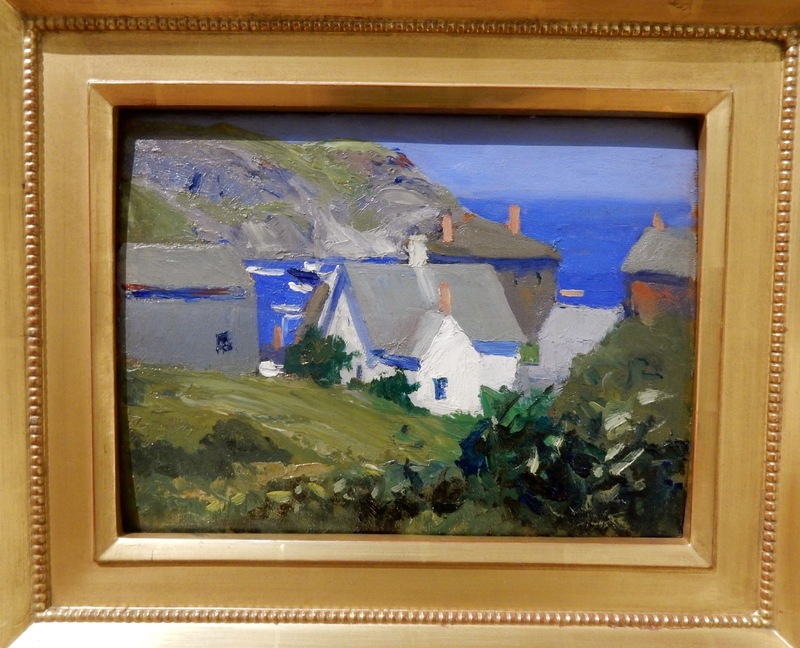 (Edward Hopper picture of Monhegan Island, below, from Portland Museum of Art in Portland ME). Divided into two buildings, the bright art gallery launches a yearlong show each season, focusing on one major artist with ties to the island. In 2017, the featured artist is Andrew Winter who lived here in the 40’s until his death in the 50’s. In 1858, Erin Draper Shaddick of the Hudson River School of Art, was the first artist to come to Monhegan to paint, followed, in 1892, by S.P.R. 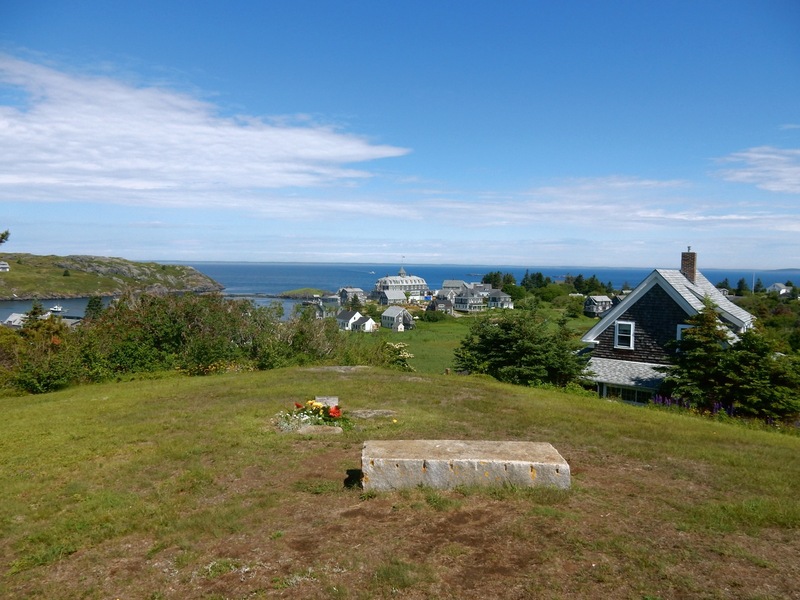 Triscott, who loved Monhegan so much, he lived here until his death. The early 1900’s was the “heyday” of Maine as an artist colony, and many a famous name came out here to paint, among them, Rockwell Kent, Edward Hopper, Winslow Homer, N.C. and Andrew Wyeth. 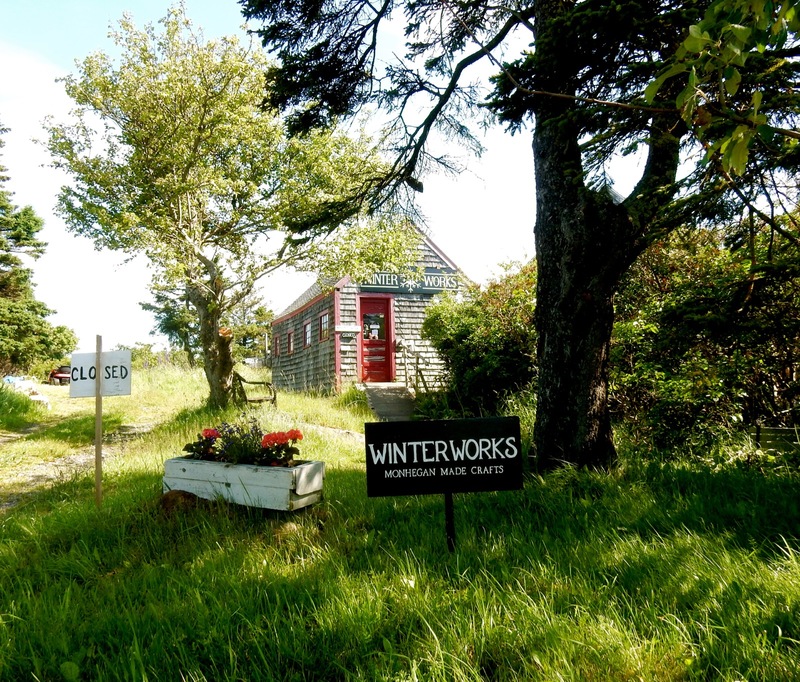 In later years, Jamie Wyeth and even Andy Warhol, along with other landscape artists, came to Monhegan to capture its beauty on canvas. The tradition continues. You cannot stroll a few yards without seeing an earnest painter at his or her easel. The main museum in the Keeper’s House is a lot larger than it first seems. Covering history from Native Americans who camped here in the summer to take advantage of the rich fishing grounds, to the first permanent settlement by Europeans in the 1600’s and again in the mid 1800’s, when the population bloomed to over 200 people, to the turn of the 20th century when artists and vacationers started swarming here, to the lobster industry of modern day, within each room, you’ll see local art comingled among personal artifacts, providing a cool and different perspective on life here. 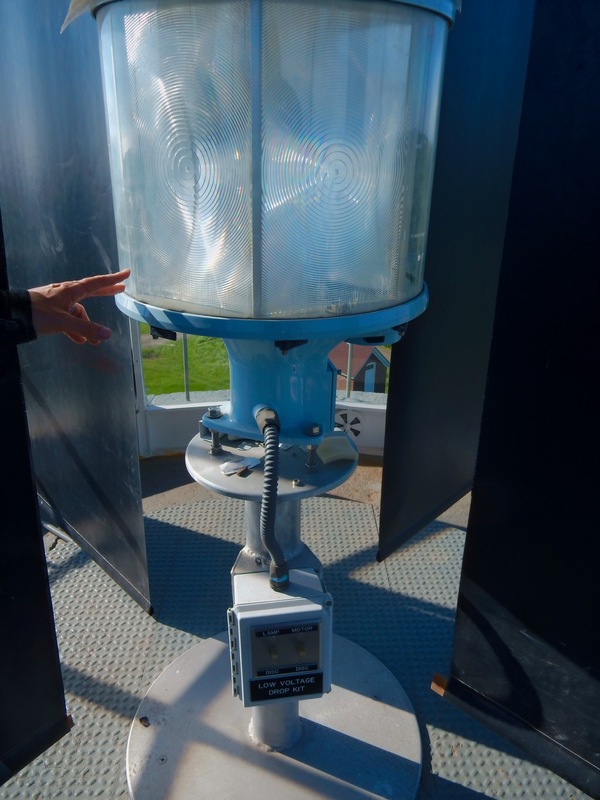 During the summer, the public is invited to go up into the lighthouse tower for singular 360 degree views of Monhegan Island and up close inspection of the bulb that emits enough light to be seen 20 miles away “on a good night.” Open July and August 11:30-3:30. Late June and Sept. 1:30-3:30. SHOP: Lupine Art Gallery. 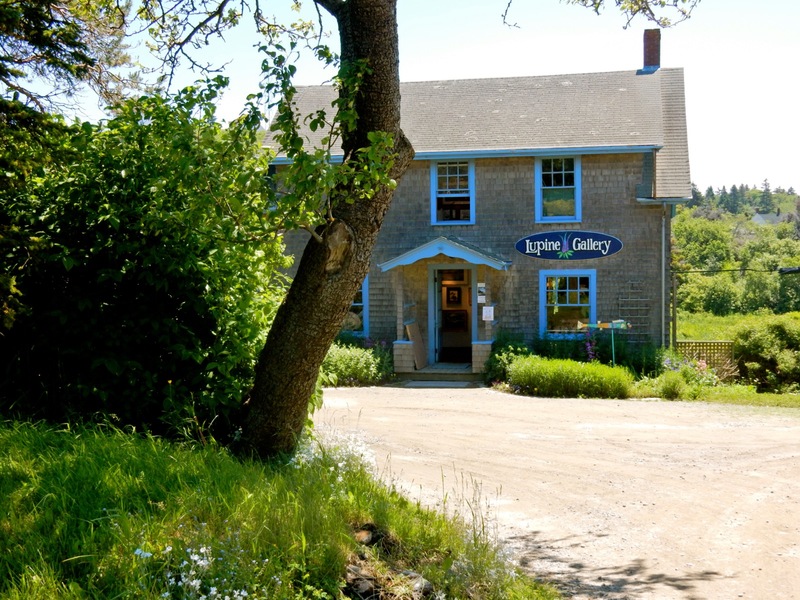 There are several galleries and gift shops, but this is the only real strictly art gallery on the island. SHOP: Winterworks. 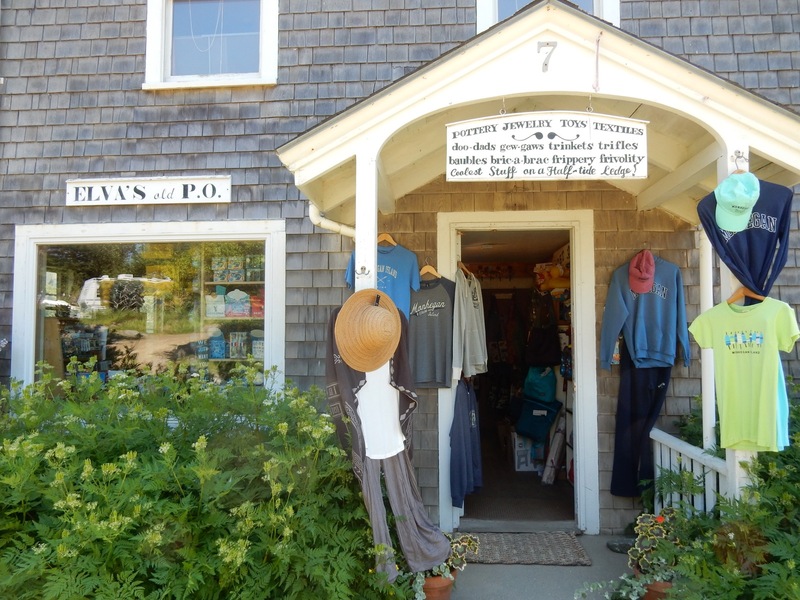 Rather than 2-D art, you’ll find Monhegan Island made crafts in all mediums: clay, fiber, wood and more. SHOP: Both the Black Duck Emporium and Elva’s Old P.O feature gifts, jewelry, t-shirts, and lots of fun gee-gaws. PROVISION: L. Brackett & Son. 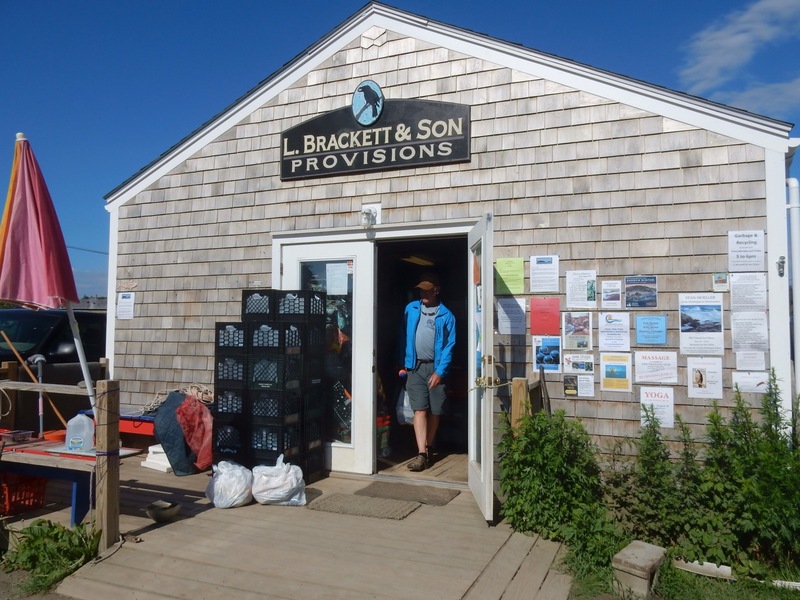 Yep, there’s a whole back room of wine and beer here, but as Monhegan Island’s sole grocery store, you can pick up fresh produce and other foodstuff as well as breakfast and lunch. TASTE/DRINK: Monhegan Brewing Co. 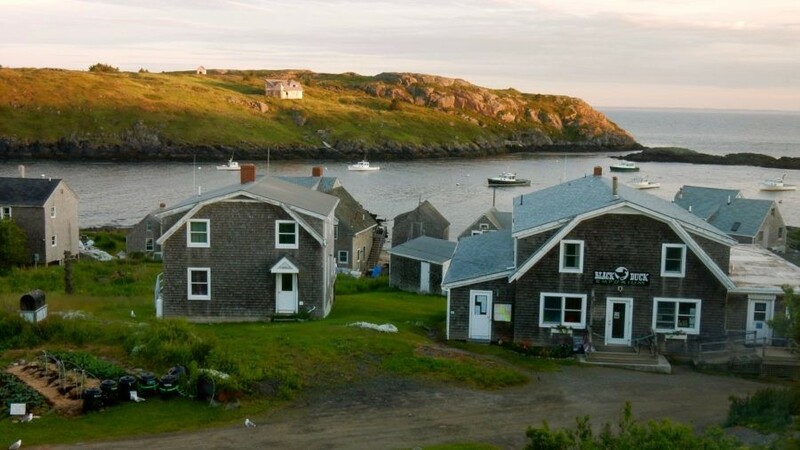 Even this tiny island has its own brewery – a hot spot for sure, and perfect place to meet fellow hikers on the way to or from Lobster Cove. The beer, by the way, is great. 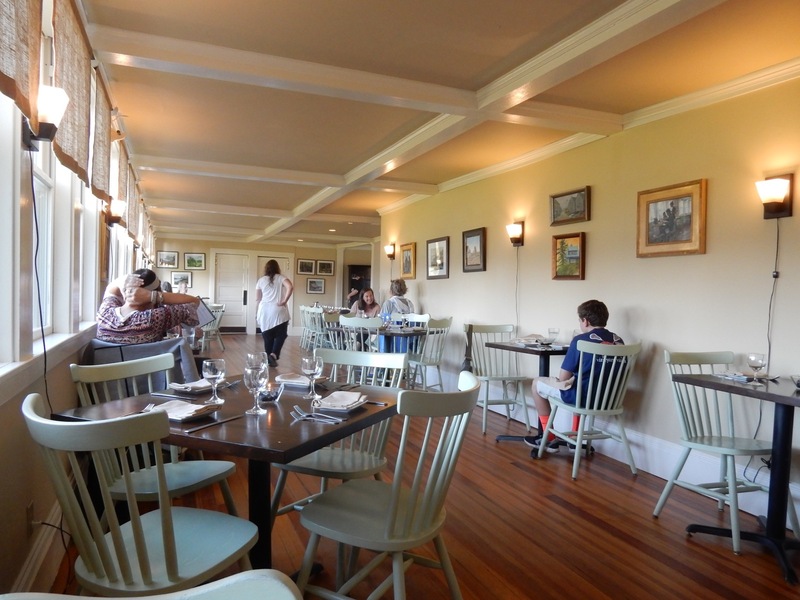 EAT: Monhegan House Restaurant. It’s a Tuesday night in June, ten miles out on the Atlantic, and this modest guesthouse restaurant is busy. Why? The food, care of Chef Michael Cennamo, is excellent, innovative, and surprisingly sophisticated; so good, in fact, this tiny island eatery can stand on its own in any major city. Live music, or piped in jazz/classical plays as you dine on ambrosial freshly baked (daily) warm, crusty-chewy Focaccia bread (served with a little pot of warm olive oil, balsamic vinegar, salt and pepper), Grilled Romaine ($12), “Smoke and Salt” House Smoked Cured Salmon with marinated Watermelon Radish ($15), Olive Oil Poached Salmon Salad ($25), House Made Lobster Gnocchi ($29), and the like. 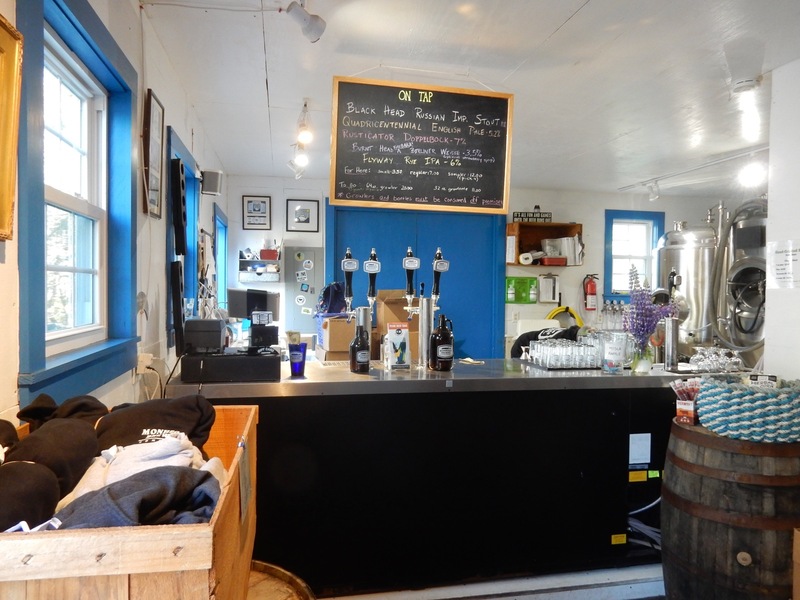 If you wish to enjoy wine with your meal, you must purchase it beforehand (from almost any shop on the Island, including The Novelty, behind the Monhegan House). EAT: Fish House. 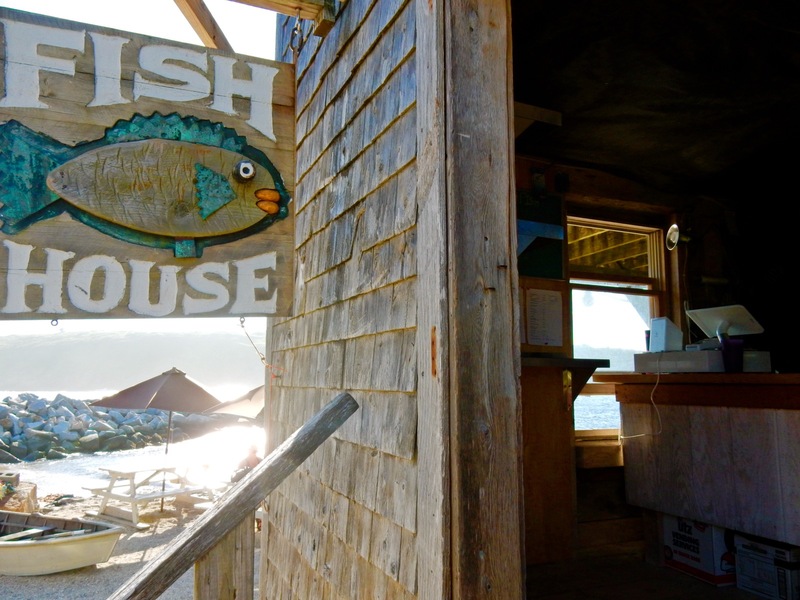 This shack on Fish Beach doles out some of the best Fish Tacos and Lobster rolls this side of the Atlantic. Take your “catch” outside on picnic tables overlooking the harbor. 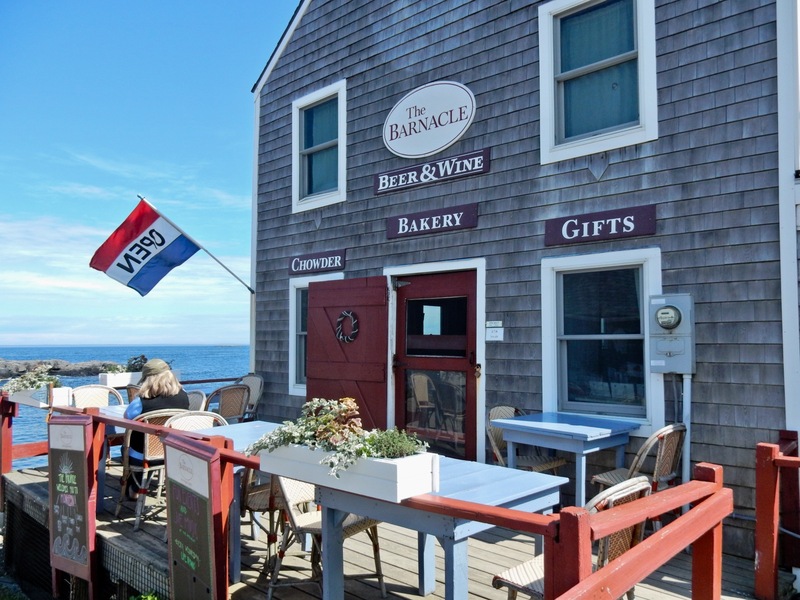 EAT: You’ll also find good pizza and some of the best ice cream and selection of wine at The Novelty (behind Monhegan House), and good soups, sandwiches and pastries (and bottles of wine) right on the wharf at The Barnacle. 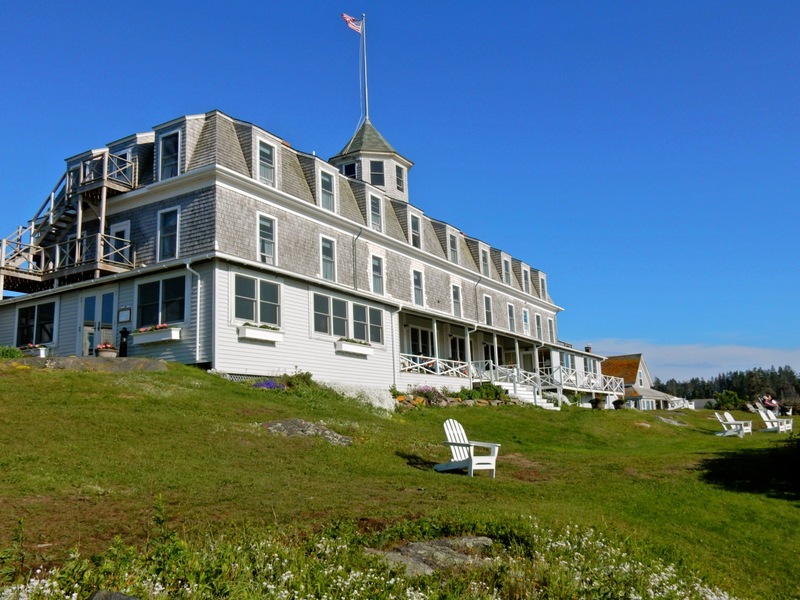 STAY: Monhegan House. 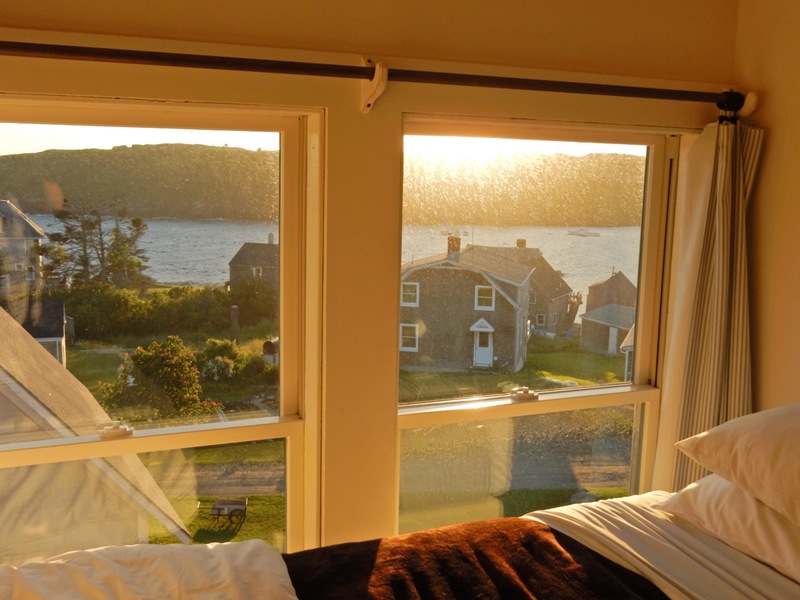 If you’re traveling solo, for my money, there is no better room than one of the top floor (4th, walkup) shared-bath single-twin ocean view rooms at Monhegan House – arguably the best harbor view on the island. A well-kept secret, it’s just $95 low season, $115 high season. OK, so you have to walk downstairs to get to several shared, but immaculate, bathrooms. And there’s no TV, heat, or AC (however, there is internet service). And yes, the room is tiny, with just the bed, small chest of drawers, lamp table, and cane chair. But, with fresh paint, cloudlike comforter, and that view, it was cozy bliss. 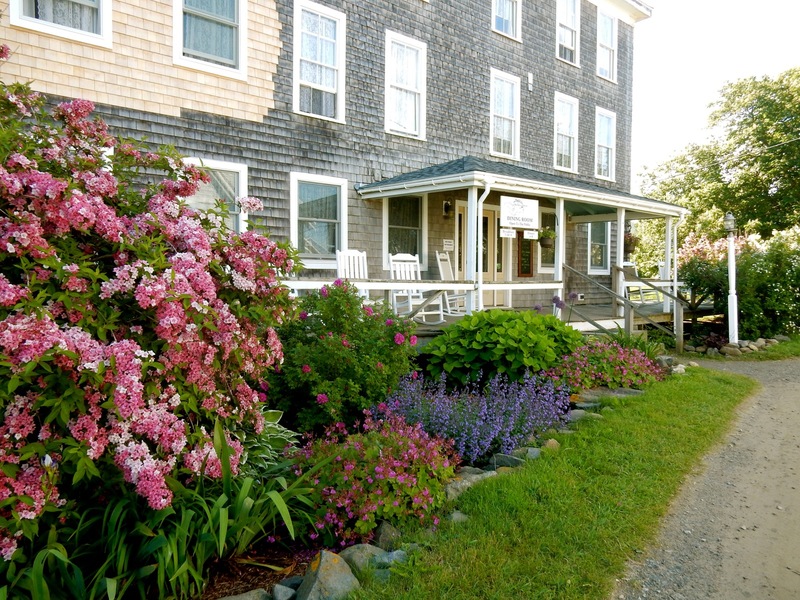 Though the original home was built in the mid-1800’s, Monhegan House began taking guests in 1870. 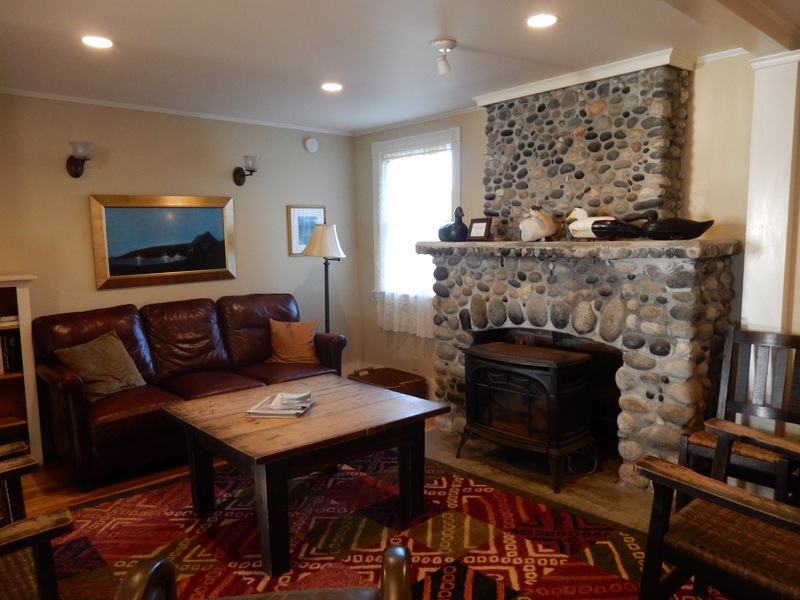 Over the years, the lodge has expanded, been electrified, and just this past year, went through a major renovation and updating. Most bright rooms share a bath here, though a few suites have en suit bathrooms. Check in is as chill as it gets. Your luggage will be brought from the ferry to your room as you walk the 1/4 mile, so all you have to do is announce yourself to the owner, who will give you your room assignment. No keys. (Rooms lock from the inside). 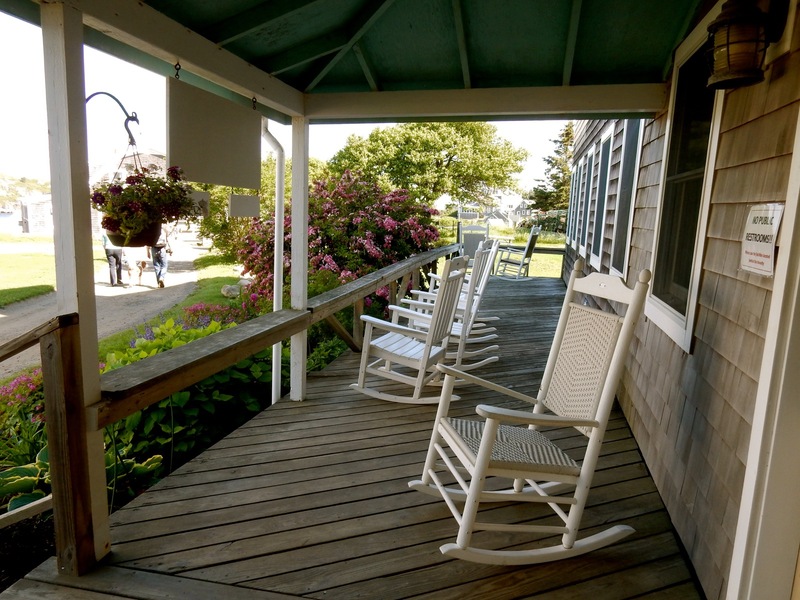 The main floor is more living room than lobby – with lots of cushy seating and fireplace – though on nice days, you’ll want to secure a rocking chair on the porch and meet your fellow guests. The very reasonable room rate includes a full hot, made to order breakfast. Wednesdays are “Eggs Benedict Days” – but you can get your basic two eggs, bacon, phenomenal home fries, and toast as well. Open Memorial Day through September. Rooms $88- $235 (high season for Queen Suite with pull-out couch) includes hot made to order breakfast. Be advised that check-out time is 9:45am with bags down to the desk ready for transport to the docks. STAY: The most “upscale” hotel is the Island Inn – the first building you see overlooking the harbor as you come off the ferry. Rooms have been updated, and most offer private baths. 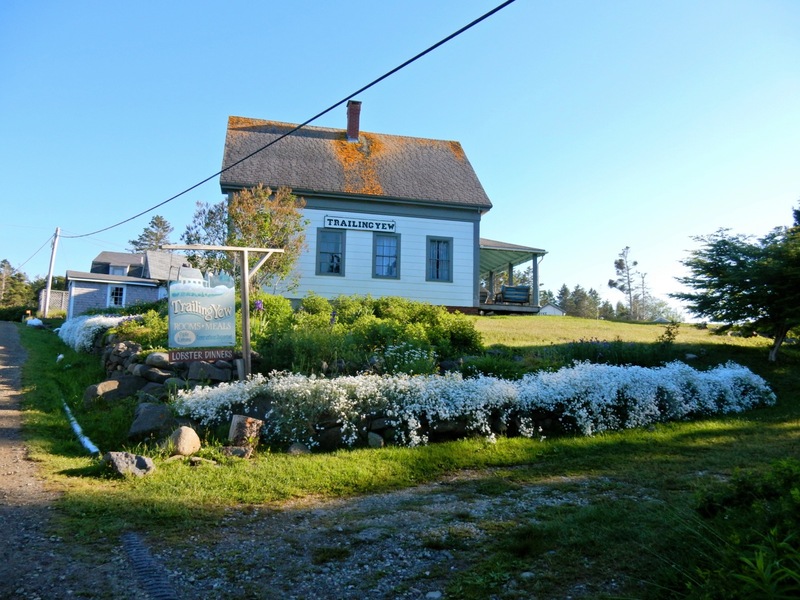 For an old timey Monhegan experience, stay at the Trailing Yew, which still features kerosene lamps in the rooms – no electricity – and shared bath, $105-$175. 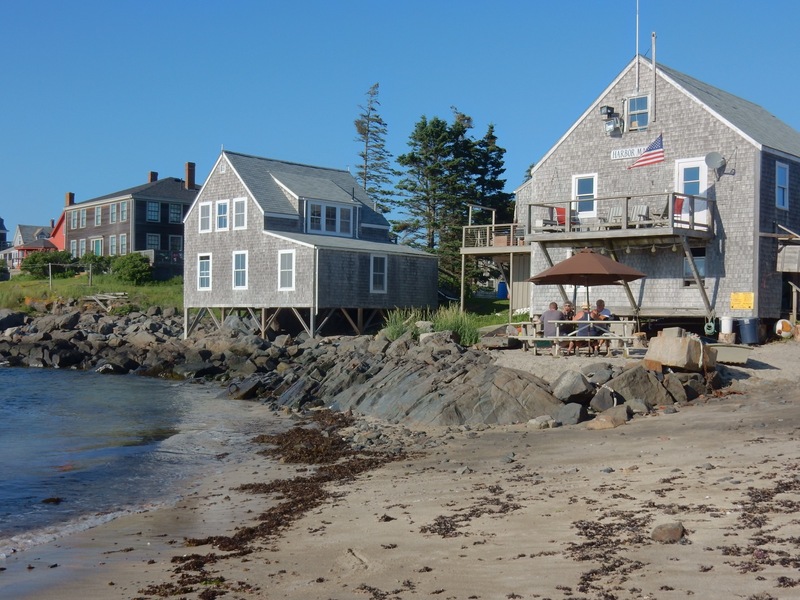 You can also rent cottages through on-island rental companies.